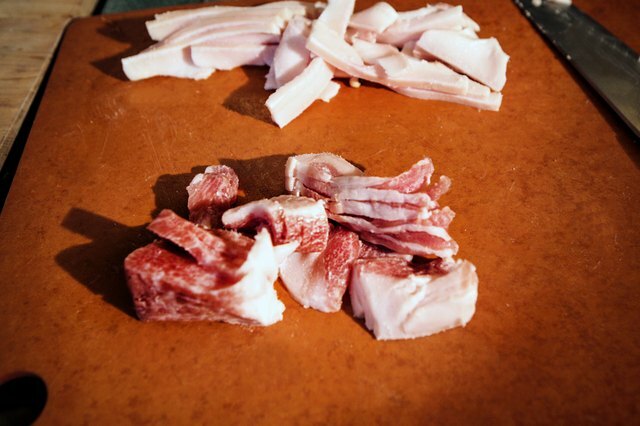 Salt pork is cut from the belly, fatback or pork side of the pig. It can be meaty or consist entirely of fat. 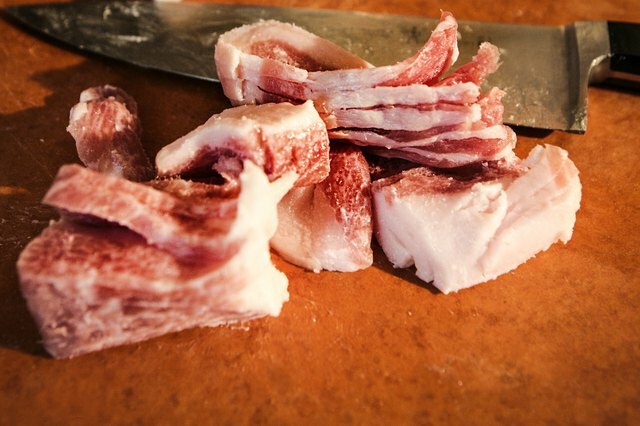 Unlike bacon, salt pork is not smoked, but rather is cured by being packed with salt. 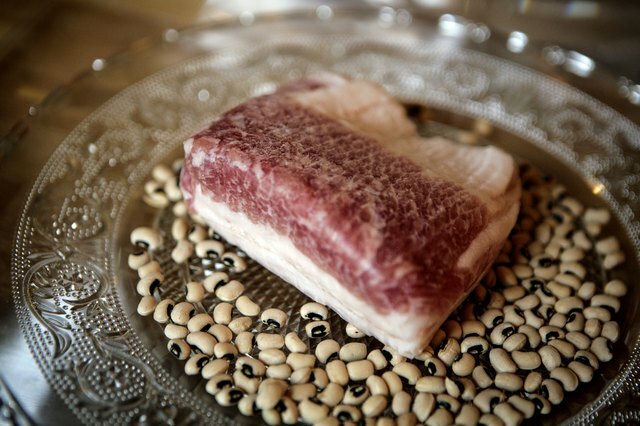 Over a course of a few months, the salt penetrates the meat and acts as a preservative. 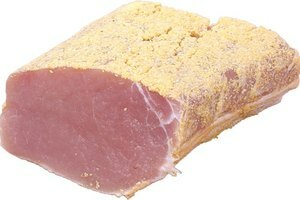 You can usually find salt pork near the ham at the grocery store. It comes as a solid slab or pre-sliced. 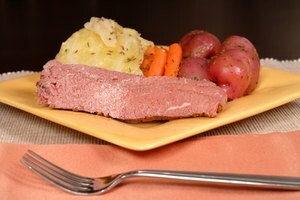 We recommend the pre-sliced variety because it is easier to work with for this recipe. 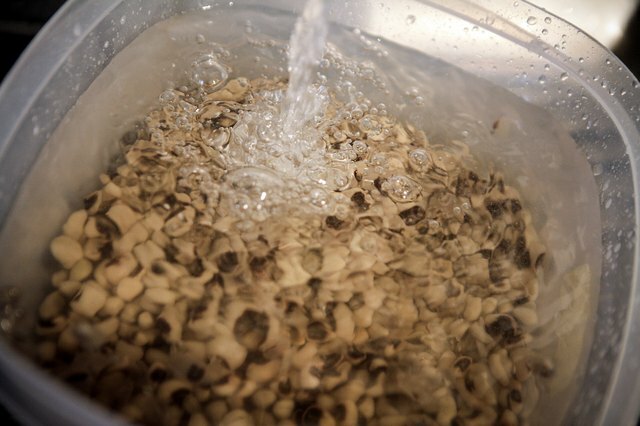 Cover the beans with water and soak them overnight after sifting through them to check for small bits of debris that may have gotten mixed in during the harvesting process. Drain the beans and put them in a pot. Cover with fresh water. 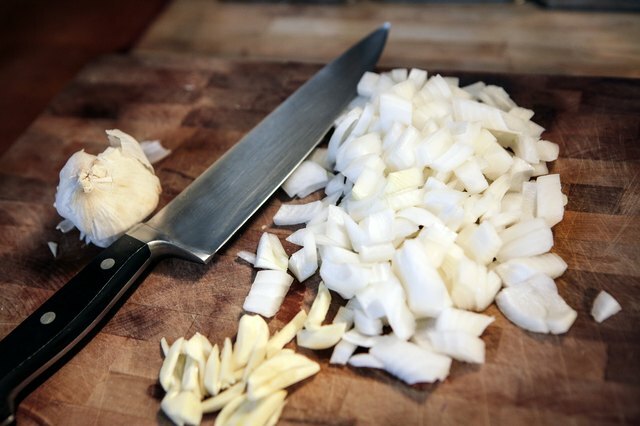 Peel and coarsely chop onions and your garlic cloves. Add them to the beans in the pot. Add the tsp. of thyme and 6 or 7 twists of fresh pepper from the grinder. Use a very sharp knife to trim away the rind of the salt pork. The rind is the thick skin that's usually along one side of the piece. Rinse the pork and pat it dry. 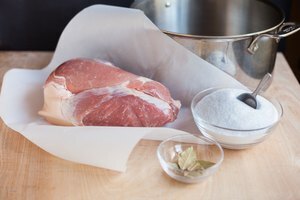 Slice the salt pork if it is in a block and then slice the pieces lengthwise. Cut the pieces crosswise to dice them until you have 1/4 cup. How large the pieces are is a matter of personal preference. Add to the beans in the pot. 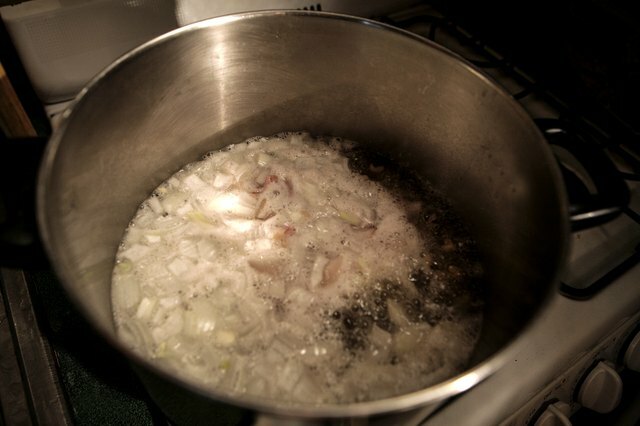 Bring the beans to a boil and then reduce the heat to a simmer. Cover the pot loosely and let the beans cook for an hour, stirring occasionally. Add water as necessary. 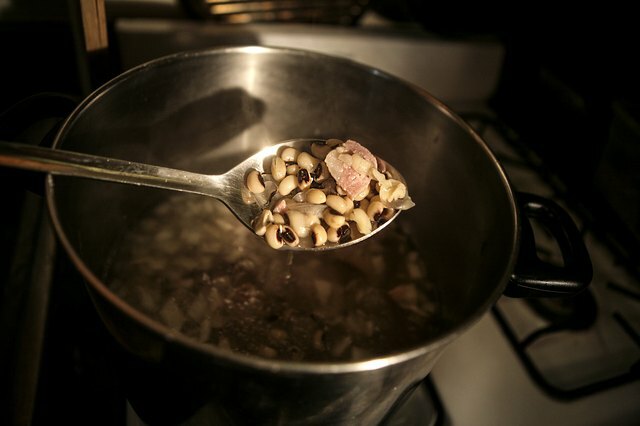 Check the beans to see if they are done and continue to cook them until they're as tender as you want. This may take 2 hours. Correct the seasoning if necessary by adding more garlic, thyme and pepper. Add carrots and celery along with the onions and garlic. Experiment with other herbs and spices like cayenne, sage and marjoram. 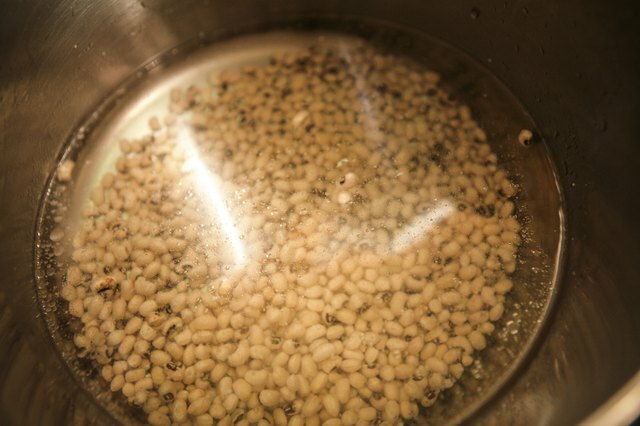 Instead of soaking the beans overnight, bring them to a boil in a pot filled with water. Boil for 5 minutes, remove from heat and let sit for an hour. Rinse and finish as above. 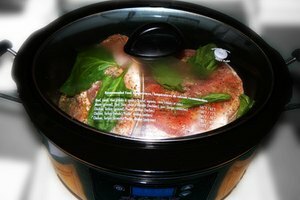 For easy pork and beans, dump a couple of cans of barbecue beans in a casserole. Fry diced salt pork and add to the casserole. Stir in 1/2 cup brown sugar and bake until bubbly. Don't add extra salt during the cooking process.